I bought this album through Nuclear Blast, funny as it is a Napalm Records release. The album has a lot of surface noise most likely caused by static electricity. The static electricity is most likely caused by the dust covers which are also the lyric sheets. If you tend to lose the lyric sheets, this is an ideal solution. The reason for my conclusion of the surface noise caused by the dust covers is that the records stuck to the dust covers when I took them out of the dust covers after I opened the seal. Epica has become a bit of the standard for goth/symphonic metal, so that is my reference. The album itself has decent songs but it is not really my cup of tea. I basically bought it for Liar Liar. I get more of a Nightwish vibe from the album. I have heard that Epica was inspired by Kamelot and I can definitely hear it, but compared to Epica, it is a lot softer. Only Liar Liar and Revolution came close. 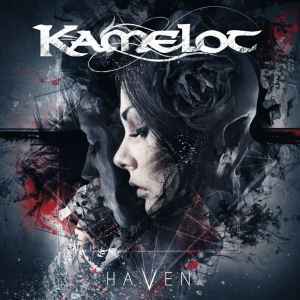 Kamelot did their best so no shame to them for not having me like every song on this album, therefore a decent 3 out of 5.